GPH announces the completion of its Phase I by presenting the “Strategic Redevelopment of Gyumri” Concept Paper. 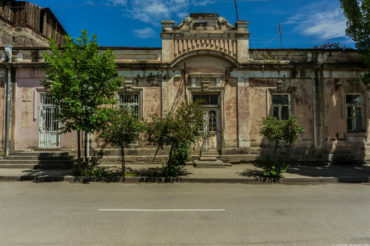 The study and analysis phase lasted for 8 months and was implemented by professional consultants such as urban planners, architects and tourism experts, coordinated by GPH project director Lena Muradyan. The condensed version of the concept was presented to GPH donors and partners on October 12, 2016. The discussion was held at IDeA Foundation with the presence of all four donors of the project James Tufenkian the Founder and Chairman of Tufenkian Foundation was a special guest during GPH concept paper discussion. GPH team presented research findings and potential projects which can revive Gyumri and bring more tourists to the region.